Allow staff and visitors to use their phones without fear of cross-contaminating patients and loved ones. For single patient use, simply tear-off and dispose! Simply place your phone in the Cell Sleeve™ and seal bag using adhesive strip. After exiting patient room, tear bag along perforated edge to remove phone and dispose bag. Available with stainless steel bag dispenser to help increase compliance. Sleeves allow for full functionality of phone, including text messaging and voice calls. Provides clarity for picture taking, and works with facial and fingerprint recognition systems. Fits all cell phone sizes. For plus size phones, user must remove case. Non-porous plastic. 200 sleeves per pack. 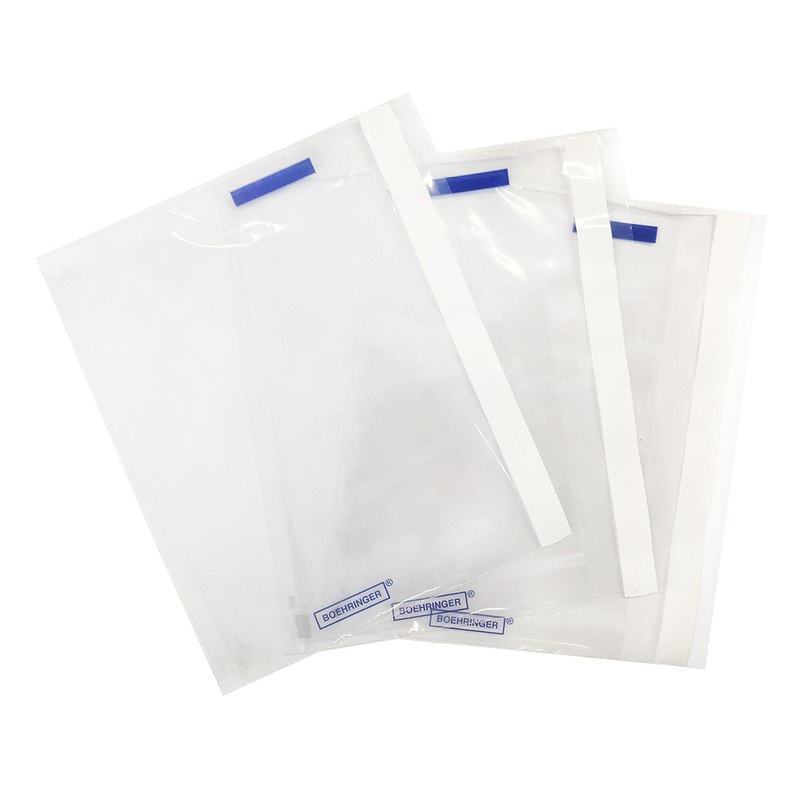 Adhesive strip with release liner to seal bag. Perforated edge allows for easy tear-off and disposal.